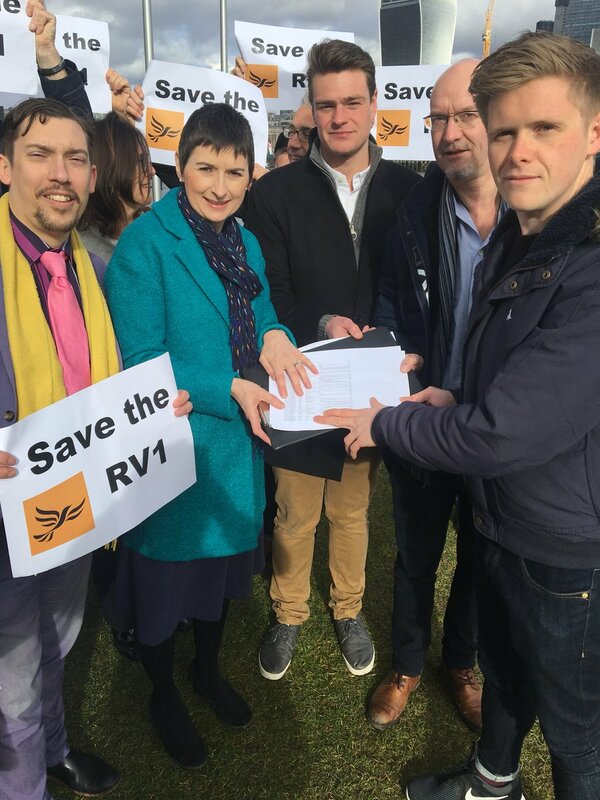 Following criticism from Caroline Pidgeon and many South Bank residents and businesses, the Mayor has agreed to a review in the summer of the cuts that reduced the RV1 bus route to just three buses an hour. Caroline joined local campaigners to present a petition at City Hall calling for the cuts to be reversed. "I welcome the Mayor at least admitting that TfL should have given customers far more notice of the savage cuts to this bus service, however the bigger issue is why the cuts are even being made. "Quoting recent usage statistics is meaningless as everyone knows that use of the bus route has been suppressed due to roadworks not just on Tooley Street, but also on Upper Ground and of course the closure of Tower Bridge in 2016. "Given the new developments in the area as well, the Mayor should reverse his cuts to the RV1 bus service." Read more at the London SE1 website.